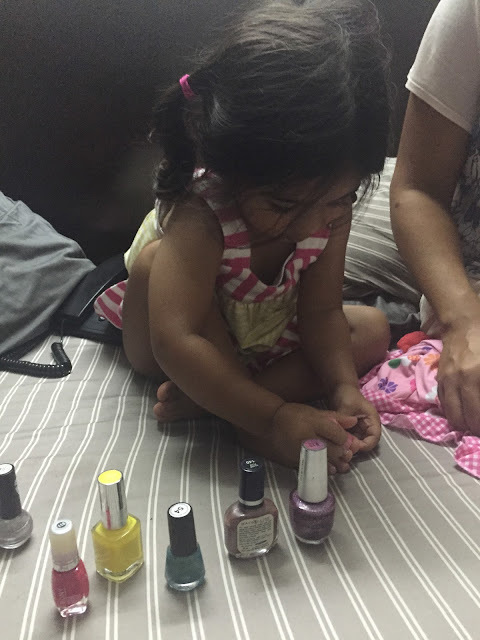 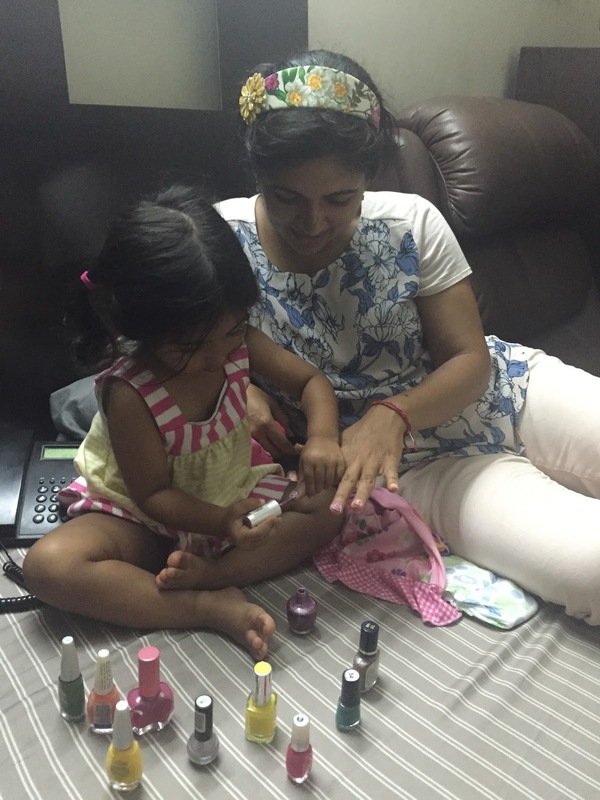 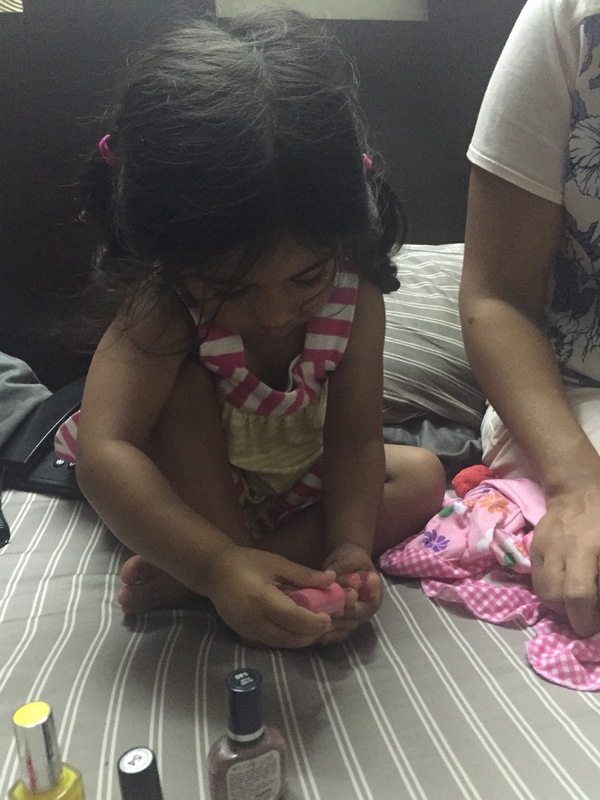 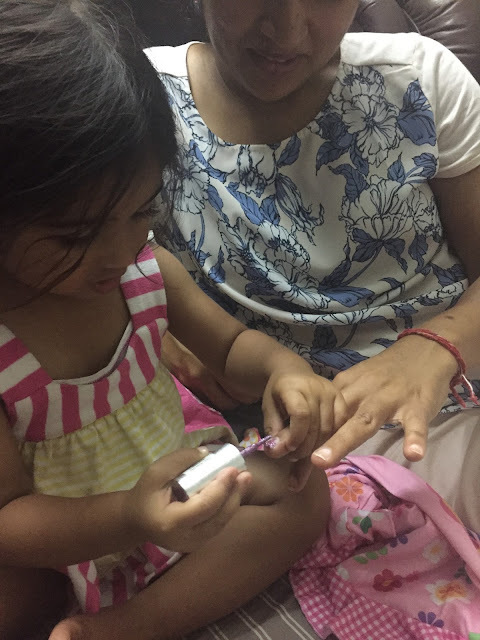 My adorable niece- one thing she loves (besides her mom) is nail paints. She bonds with me because of nail paints and she has her own collection. 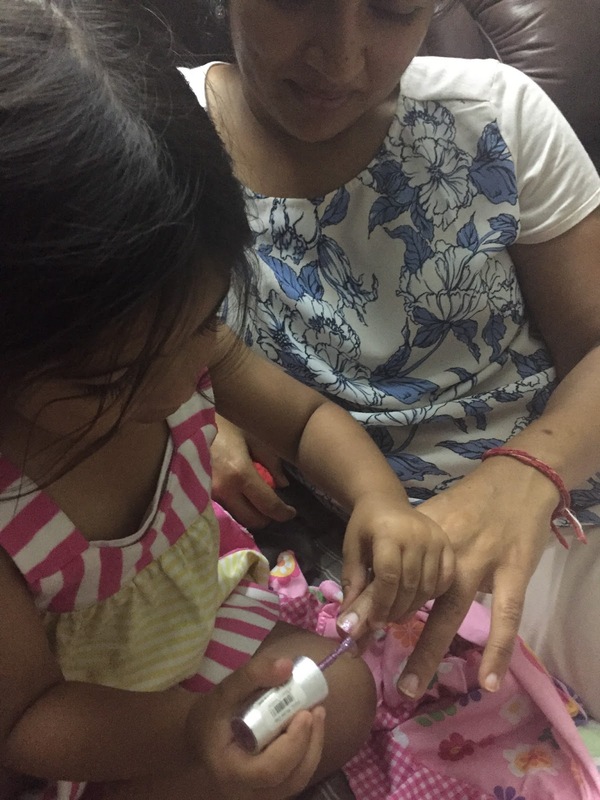 She insisted on applying it on her mom and me. 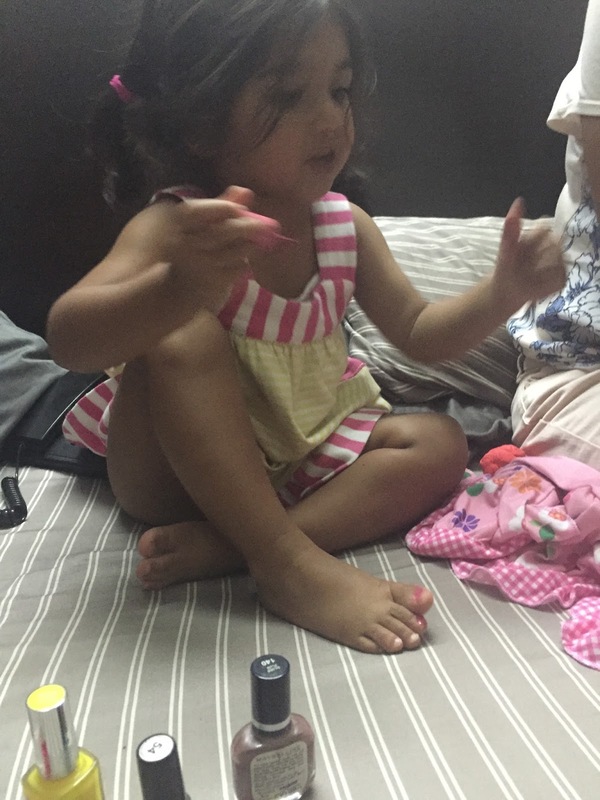 See how intently is she engrossed. 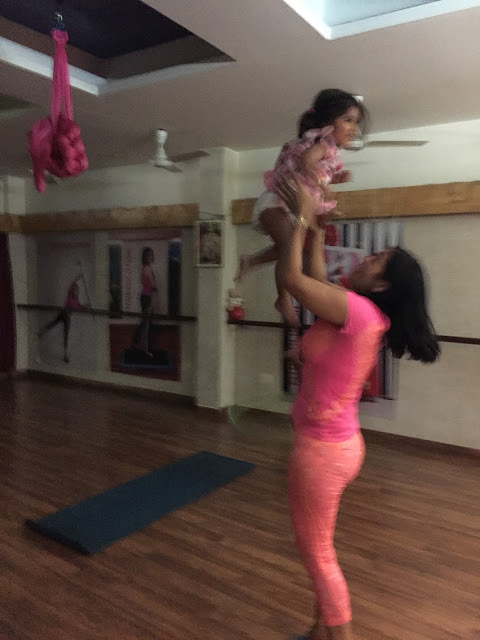 She laughs when I make her jump up in the air.